The Arizona State student who revealed she was undocumented on Facebook has spoken out about the abuse she received because of her post. Belén Sisa, 23, posted to say she was undocumented and paid taxes last week, and while she received positive responses, she also faced criticism for being an undocumented immigrant. We spoke to Belén, who is a Political Science major about how she feels about the criticism she received. “The responses show that even if immigrants are doing the right thing it doesn’t matter to these people,” she told The Tab. She was born in Argentina and moved to the United States aged six on a visitor visa. Through President Barack Obama’s Deferred Action for Childhood Arrivals programs, she is allowed to study, work, and live in U.S. without the fear of being deported. 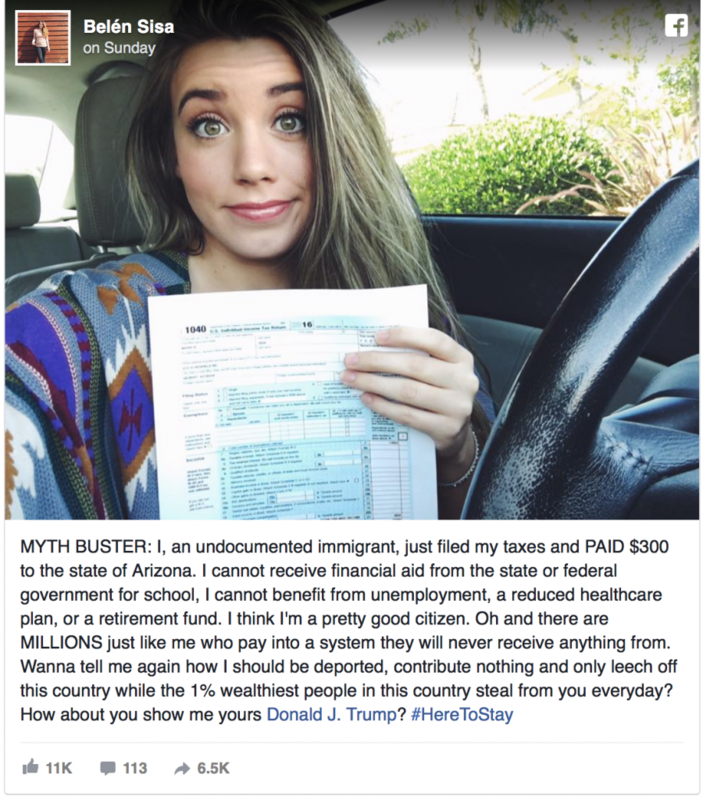 She has been working for four years and this year she decided to share her tax form on Facebook to debunk the myth of immigrants taking from the U.S. MYTH BUSTER: I, an undocumented immigrant, just filed my taxes and PAID $300 to the state of Arizona. I cannot receive financial aid from the state or federal government for school, I cannot benefit from unemployment, a reduced healthcare plan, or a retirement fund. I think I’m a pretty good citizen. Belén has been consistently paying taxes ever since she started working four years ago through DACA. “The whole reason for the post was to bust the myth that immigrants don’t contribute to this country and that we don’t file our taxes,” she said. Since March 26, the post has been shared thousands of times with mixed responses. “Sunday night after I posted that morning, I started getting really negative hate mail to my Facebook. Then later in the week it continued to all my other social media. Despite the attacks of the Trump supports, Belén took pride in all the positive comments and support. “It was great to have people come together. The point of the post was for people to open their minds and eyes to the reality that undocumented people are going through in this country,” she explained. Belén felt confident in speaking out without hesitancy, which she says is a byproduct of her being an activist since high school. 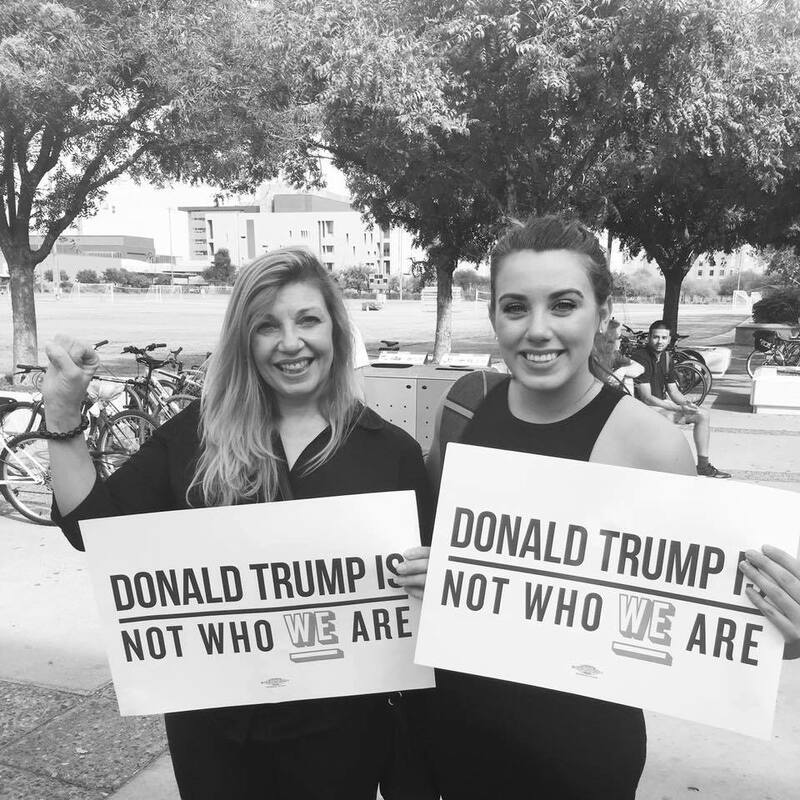 “Whenever I graduated from high school in 2012 is when I got involved with the immigrant rights movement here in Arizona, she said. She’s wanted people to understand that being an undocumented student means something different from being a student with citizenship. ASU has only provided a general public statement from Michael Crow, the president of ASU. 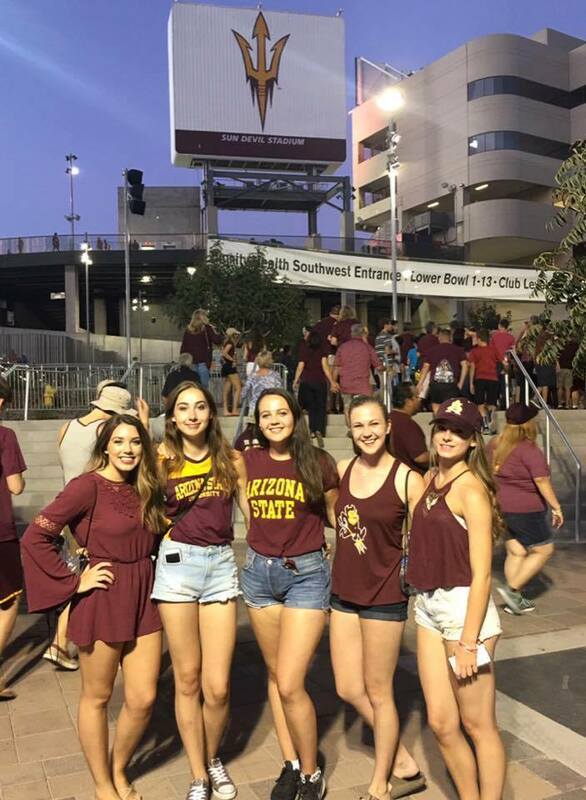 Belén, however, has received emails from ASU police and the counseling department offering support and safety advice after the negative responses to the post. “They are taking it very seriously, ASU police offered to connect me with police in my jurisdiction,” she said.